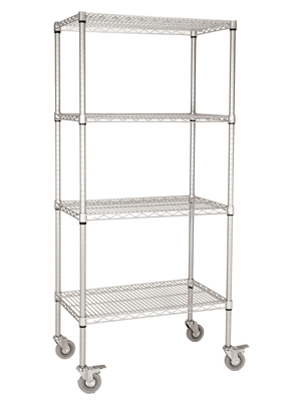 Practical and attractive mobile chrome wire trolley providing total flexibility in your storage area. Choose from a variety of trolley sizes to suit your application. Each chrome wire trolley is supplied with 4 heavy duty swivel castors, 2 with brakes.